And while you’re at it, why not take part in this simple little contest? 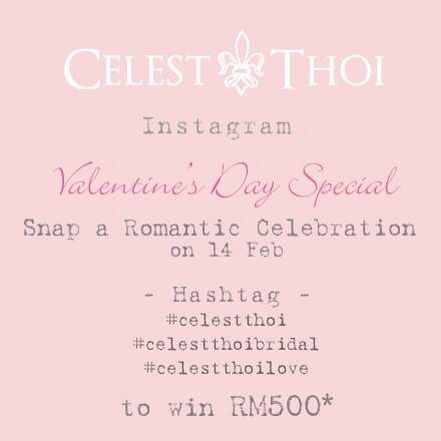 Yup, if you were already taking tonnes of photos of that amazing chicken cordon bleu you were feasting on over candlelight, why not just upload it, and stand a chance to win RM500 worth of Celest Thoi designs? Just upload your lovey dovey pics from tonight, punch in the hashtag, and you’re good to go! About a day left to go! Time to break out the smartphones and start snapping away. With that, I bid you good evening, and have a lovely Valentine’s night!